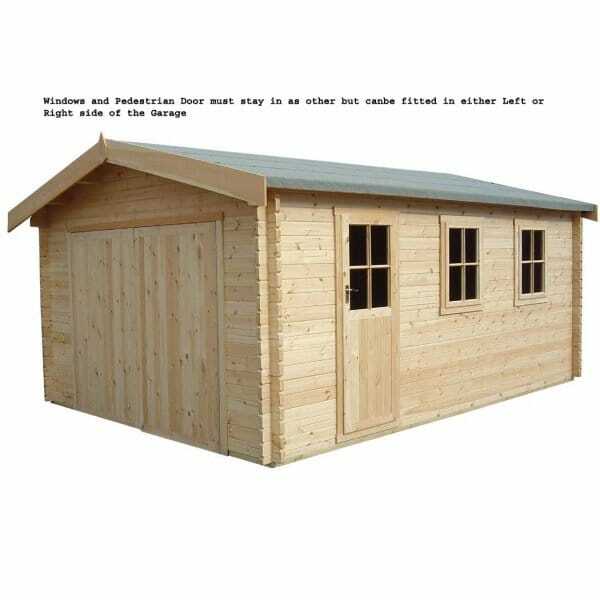 Shire Bradenham Garage: The Shire Bradenham Garage is available in 4 sizes to suit your garden and needs. The Norland Bradenham Garage has a log cabin style construction with interlocking corner joints using 34mm log thickness (or 44mm for Size E). As well as being very good value and very practical The Norland Bradenham Garages make a very attractive feature in your garden. Featuring a ridge height of under 2.5m whilst maintaining good headroom clearance in the garage.